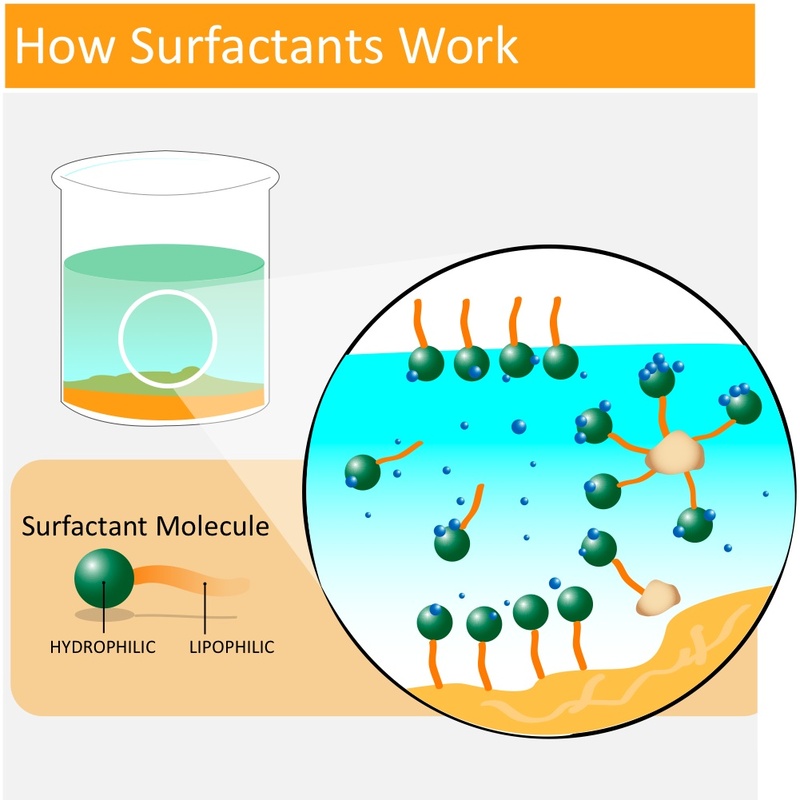 Surfactants are compounds that lower the surface tension of liquids. Basically when it comes to using a chemical like a Degreaser, surfactants are the molecules in the chemical. They are designed to separate and lift heavily soiled surfaces, like a greasy kitchen floor. You can mop your kitchen floor all day long with water but all you will achieve is making more of a mess. If you use a Degreaser they have surfactants in them to physically lift the soil off of the kitchen floor and emulsify the grime into the solution. Then you can wet vacuum or mop thoroughly with a micro fiber mop head and remove the soil. The same thing works for a dirty car. The last thing you want to do is use a chemical that will just spread fine dust and dirt particles all over your paint etching your clear coat. The idea is to use a car cleaner with surfactants to loosen dirt or excessive grime from the surface and simply wash the soil away. This is why it is always good to pay attention and make sure you are using the right chemical for the right job. Notice in the top left hand corner you will see the soil on the surface. Once the Surfactants start to emulsify the grime it actually lifts the soil off the surface into the solution for easy removal.